Kate Colin design collaboration. 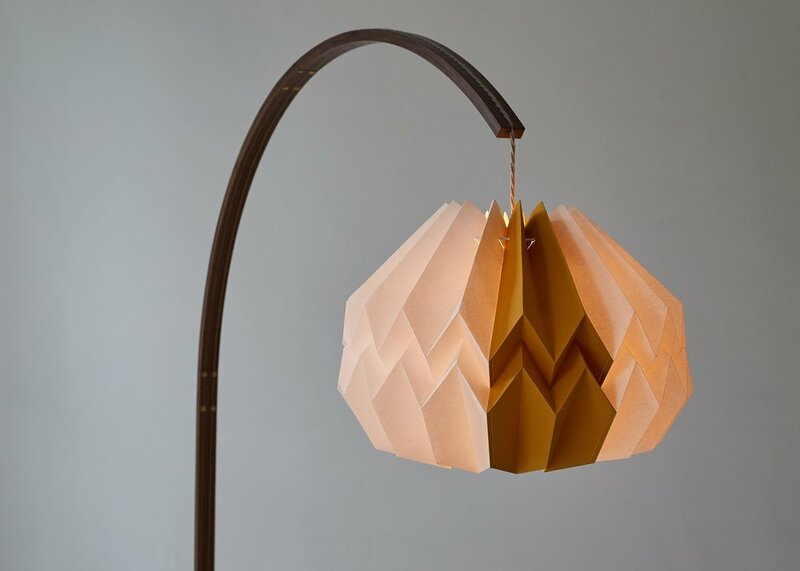 Walnut floor lamp, paper lampshade. Hand-crafted. 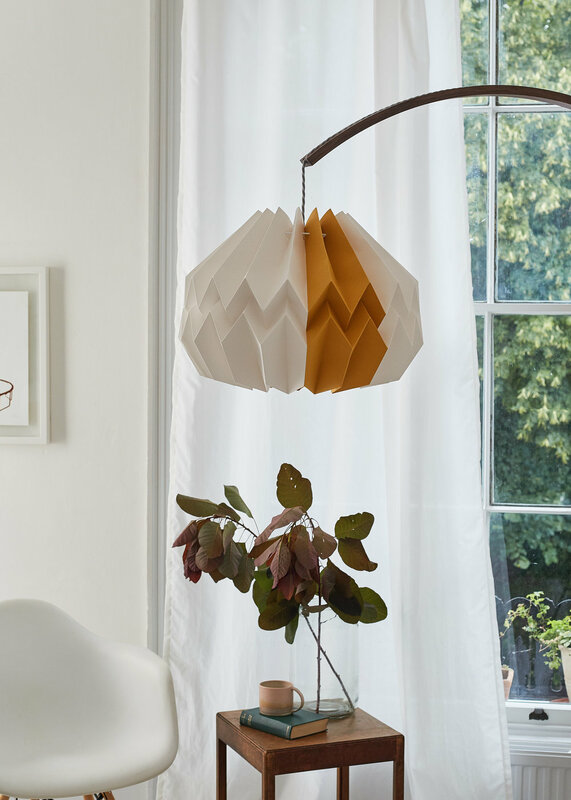 In collaboration with paper lampshade designer-maker Kate Colin, a vaulting floor lamp with hand folded and stitched lampshade. Shade available in a selection of colours.